Benign esophageal disease comprises many different diseases and disease pathology including gastroesophageal reflux disease (GERD), hiatal hernia, and achalasia. There are many approaches to treating these diseases including medical and surgical options. The most common symptoms of patients presenting to the primary care doctor include heartburn, dysphagia for solids and/or liquids, regurgitation, chest pain, cough, hoarseness, voice change, and/or weight loss. Multiple studies exist to diagnose these diseases including endoscopy, a 24-hour esophageal ph-metry, esophageal manometry, barium swallow, CXR, real-time video swallow studies, and/or CT scan with oral contrast. Not all studies are needed, and the choice depends on the patient and surgeon preference. 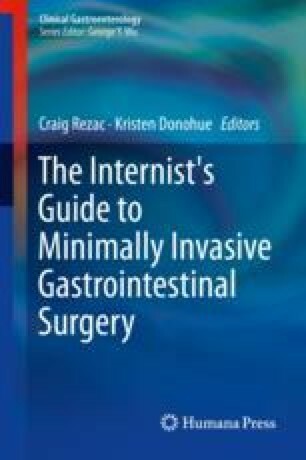 Treatment options exist including minimally invasive surgical techniques to reduce a hiatal hernia, fundoplication (Nissen 360°; Toupet 270°; Dor 180°), and/or Heller myotomy. Most patients tolerate these procedures well with high success rates, minimal postoperative pain, short hospital stays, and a quick return to daily activities. In symptomatic patients, surgery offers an excellent option for definitive therapy in appropriately selected patients.